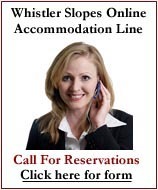 New: Ursula & her team care about you and you have now access to all Whistler/Pemberton Squamish/Vancouver properties on www.ursulamorel.com. On request new listings emailed to you daily! 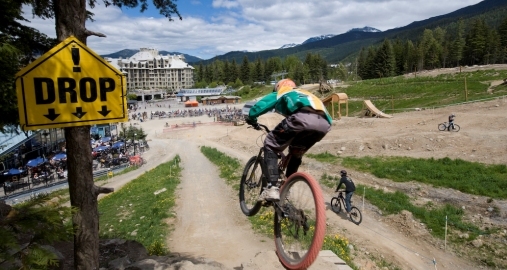 Whistler is world famous for its mountain biking. There are hundreds of mountain bike trails throughout the Whistler valley area. Some have a technical edge while others offer forested views and mountain scenery that are stunning. The Valley Trail is Whistler's 30 km paved pedestrian/bicycle route. It links parks, beaches, neighbourhoods, and playgrounds all to Whistler Village. It's popular with cyclists, strollers, walkers, dogs, families, and even healthy enviro-friendly commuters. If you are a beginner (or haven't been on a bike in a while), The Valley Trail is the perfect place to start. 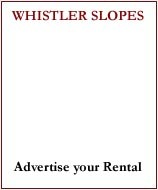 Remember that equipment rental shops in Whistler also rent "cruiser" bikes too. A little more comfortable and cruisey. Whistler-BC-Canada-Home of the 2010 Olympics : We are excited at the opportunity to bring a new development to the marketplace ! By now most of you are aware Blueberry Hill Developments (Nat Bosa) has a building site on Blueberry Hill that has been cleared and has received all development approvals for 8 townhomes ranging from 2600 � 3100 sq ft. The site is located on Blueberry Drive just North of Blueberry Hill Estates and offers spectacular views of Whistler, Blackcomb and even Black Tusk if our calculations are correct. Each property has a total of 4 bedrooms each with ensuites and features 2 Master Suites, hot tubs, multiple decks, media/family room, indoor/outdoor fireplaces and double garages. Ask Ursula for plans for the townhomes. ursula@ursulamorel.com . We would like to know if you have interest in these townhomes. We are really excited at the opportunity to bring this development to the marketplace and look forward to your responses. Please send responses to ursula@ursulamorel.com . Ursula Morel is operating as a member of Who's Who in Luxury Real Estate and The Institute for Luxury Home Marketing as a Certified Luxury Home Marketing Specialist with the achievement of the Million Dollar Guild. Ursula Morel is also a board member at FIABCI Canada (Federation of International Real Estate www.fiabci.com . Please visit www.ursulamorel.com and find the attached Press Release from The Wall Street Journal, Barron's Magazine and The Institute for Luxury Home Marketing, which demonstrates Ursula's ability to provide effective promotion. When you've made the decision to move up, you want a discreet real estate professional who not only has mastered the buying and selling process, but also knows the Luxury Resort & Second Home Market and has strong negotiation skills and this in three languages: English, French and German. It would be Ursula's pleasure to work with you to find just the right property. Let her know where to start. Ursula Morel has been recognized as an exceptional agent in The Wall Street Journal & Barron's Financial Week! 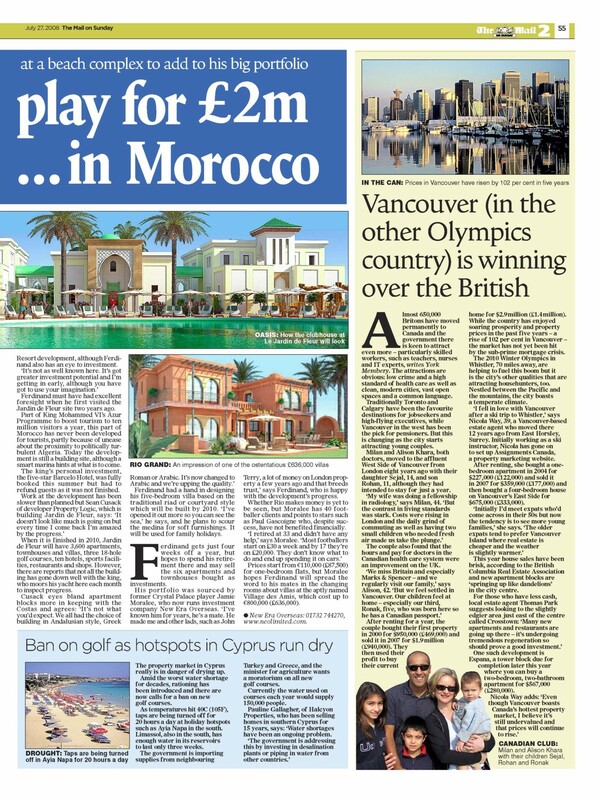 Come to the Home of the 2010 Olympics! Want to always have my latest info? Want a signature like this?